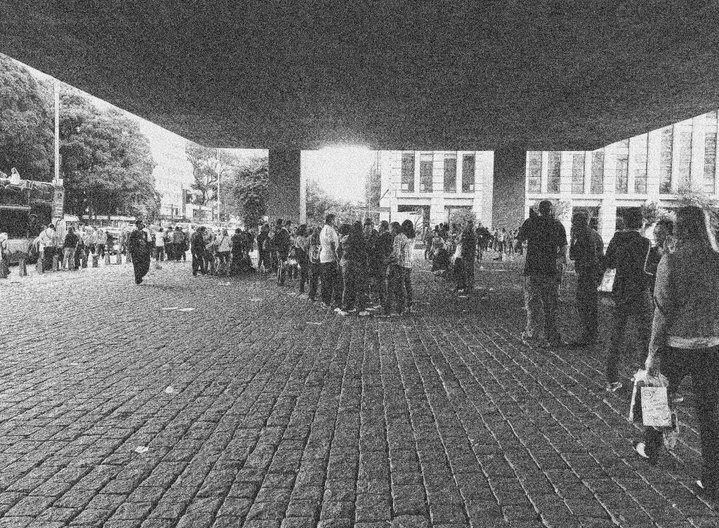 Brave Old World: Modernist public space design in London and São Paulo looks at public space design between c.1955 and c.1975, during a crucial period for the development of two world cities, London and São Paulo. Though located in very different cultures, the designers of the eight public spaces on show shared a common frame of reference, whatever their view of it: architectural Modernism. As a result, the four examples in London and the four in São Paulo are works of equal ambition and equal invention, and representative of a consensus on the value of the public realm and the importance of the state in providing and protecting it. The exhibition focuses on the ideas - political, urban, aesthetic - that drove these public space designs, and the importance of design in delivering successful – and unsuccessful – public spaces. The exhibition is part of a three year research project led by Professor Susannah Hagan at the Department of Architecture, University of Westminster, and the Department of Architectural History, University of São Paulo. Project partners: British Council, Royal Institute of British Architects, Royal Town Planning Institute, and the 20th Century Society. The exhibition also forms part of the London Festival of Architecture 2017. As part of the exhibition on the 20th June RIBA are hosting Public Spaces and the Role of the Designer, a symposium for practitioners. For details and to book a place, visit the event website.